New Early Bird Registration! Players who register by Sunday, June 5th(PDT) will receive an additional $5 after participating in the tournament. Please note: To be eligible for the bonus, you have to be registered for the tournament for the entire time. If you unregister at any time, you will not be eligible for the $5 early bird bonus. TW Madness Tournament Promotion! For each 4 players who participate in the tournament on Saturday, May 21st Mahjong Time will add $100 Bonus Prize ! Remember, 4 players - Prize fund: $350(Prize Distribution: 1st -$200; 2d - $100; 3d - $50) ; 8 Players - Prize Fund: $700(Prize Distribution: 1st -$350; 2d - $250; 3d - $100); 12 Players - Prize fund: $1050(Prize Distribution: 1st -$500; 2d - $300; 3d - $250); and 16 Players - Prize fund: $1400(Prize Distribution: 1st -$700; 2d - $400; 3d - $300)! 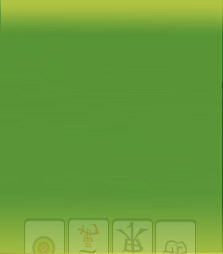 Mahjong Time Mobile app is released for iPhone and iPad!